Obama didn’t kill the Keystone XL Pipeline. Innovation did. America didn’t need these pipes. The investors always seem to be the last to know. Late Friday morning, President Obama and Secretary of State John Kerry announced their rejection of the long-debated Keystone XL Pipeline, which would have carried oil from Canada’s tar sands through the heart of the U.S. The stock of Transcanada, the parent company of the pipeline, fell more than 5 percent on the news. Which is surprising. In reality, Obama and Kerry simply delivered the coup de grace to a long-wounded project. Yes, politics was part of it. But the effort to bring more oil from the Alberta tar sands wasn’t spiked because the method used to extract produces a lot of negative environmental effects—or, I should say, only because of that. Rather, the end of this effort to benefit from newish innovations in external fuel production (extracting liquid oil from gooey tar sands through the application of steams) comes as a result of some very different innovations in fuel production and consumption. The story of how fracking—hydraulic fracturing—has turned the U.S. from a declining energy power into a world leader has been told many times over. (For my money, Gregory Zuckerman’s The Frackers is the best origin tale.) According to the U.S. Energy Information Administration, thanks to the advent of fracking in Texas, North Dakota, and elsewhere, U.S. oil production rose from 5 million barrels per day in 2008 to 8.7 million barrels per day in 2014, a 74 percent increase. This happened at a time when consumption has remained essentially flat. Which means the U.S. is well on its way to being self-sufficient. Oil imports fell about 70 percent between 2005 and 2014. As the EIA notes, in 2014, “Net imports accounted for 27% of the petroleum consumed in the United States, the lowest annual average since 1985.” Yes, we still import plenty of oil from Mexico and Canada. But American refineries aren’t crying out for new external sources of supply. That’s the first strike against Keystone. Thanks to increased domestic production, and the fact that U.S. producers are essentially prohibited from exporting oil, prices have remained low. The spot price of West Texas Intermediate crude is now below $50 per barrel, about half what it was a couple of years ago. Which means it doesn’t make all that much sense to build a pipeline that will carry oil that is comparatively expensive to produce. And as the Wall Street Journal reported, the estimated break-even point for a newly initiated project in the oil sands is $65 per barrel. Another strike against Keystone. Of course, it would be foolish to make long-term decisions based solely on the market fluctuations of the past couple of years. It’s entirely possible that the price of oil will skyrocket in the years to come. But even that won’t mean there will be a sudden need to bring in large new supplies of oil. As I’ve pointed out in this column, there is a quiet revolution going on in American transportation. Ten years ago, pretty much the only way to move a vehicle in America was to put petroleum-derived gasoline in the tank and burn it rather inefficiently. That’s changing. As they race to meet tough new mileage standards (thanks, Obama! ), automotive engineers are experimenting with new materials like aluminum, introducing features like stop-start technology, and generally getting smarter about efficiency. The upshot: The typical car sold in the U.S. this year is about 25 percent more fuel-efficient than the typical car sold in 2007, according to data compiled by Michael Sivak and Brandon Schoettle at the University of Michigan Transportation Research Institute. This trend is likely to continue. Meanwhile, oil is slowly being displaced as a transportation fuel by natural gas—not in cars, but in trucks and buses. Each day, the website of trade publication NGTNEWs has news of giant corporate delivery fleets, refuse-collection fleets, and municipal bus systems putting hundreds of vehicles into service that will never use a gallon of gasoline. And let us not forget that each month, about 10,000 cars are sold that run entirely or partially on electricity. 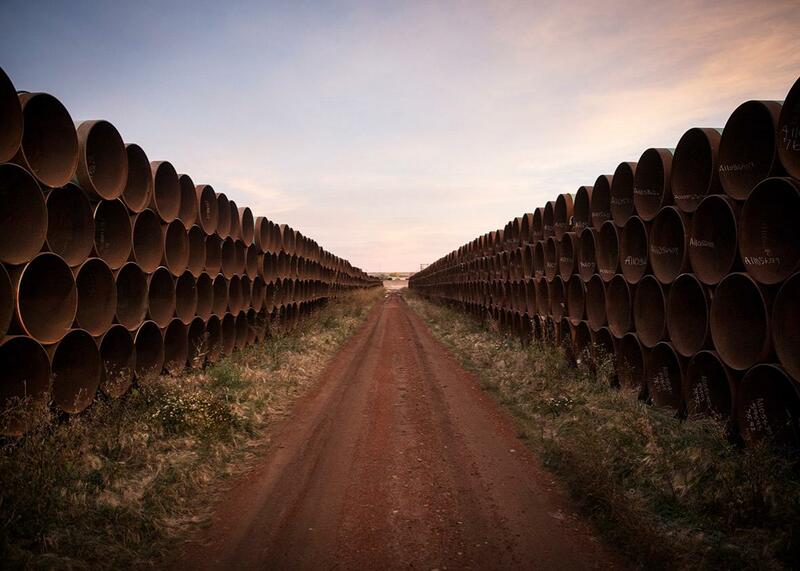 The changing shape of future demand is a third strike against Keystone. That’s not to say we may never need or want the oil that would have come through the Keystone Pipeline. Markets and forecasts can change very rapidly. And we may live to regret not building it—if only as insurance against the prospect of oil shortages in the distant future. But today, as we reflect on the politics behind the killing of Keystone, we should keep in mind the structural and market forces that truly did it in.